This card comes with matching envelopes. (Envelope colours in light pink, red, or beige). 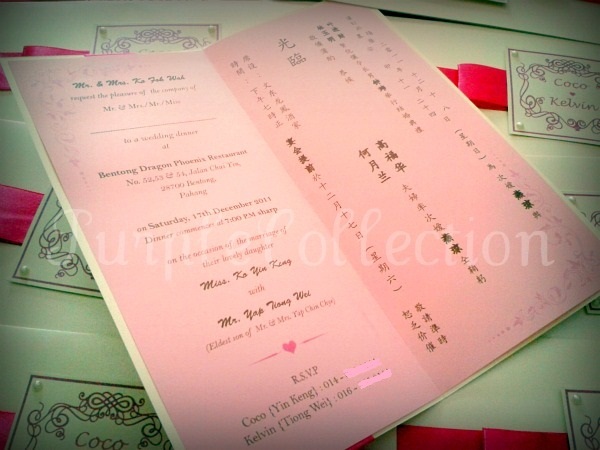 Here're the wedding invitation cards requested for Coco & Kelvin from Pahang, Malaysia. The inlay content contains English invites and on the right is the Chinese invites. I had to measure and cut the pink satin ribbons, print the front tags, cut the tags with my sharp cutter, stick the white pearls carefully one by one, and the same for the pink inlays. 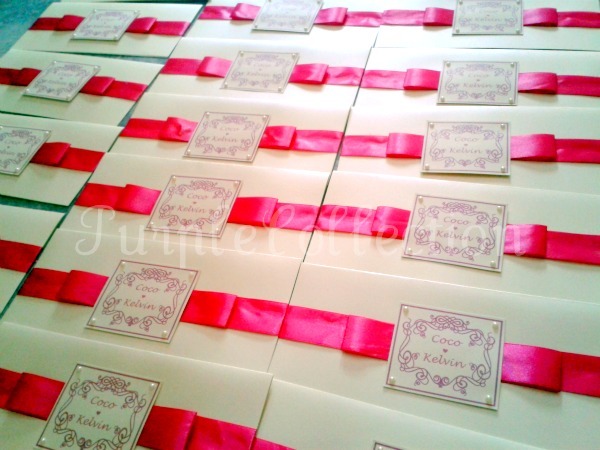 To order your invitation cards or get a quotation, please contact us. Thank You!